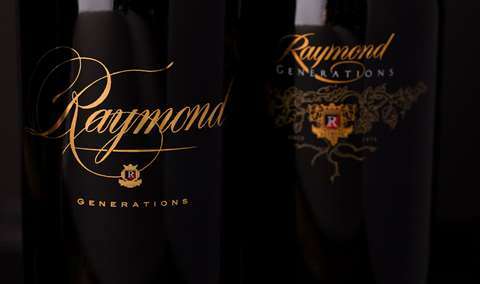 This 90 minute unique and exclusive tasting experience is perfect for the serious wine collector and Cabernet Sauvignon lover and includes a generous flight of our most highly rated and allocated HALL Cabernets. *Not intended for those under 21 years of age. Available at alternative times by appointment for $150/person. Approximately 1.5 Hours. 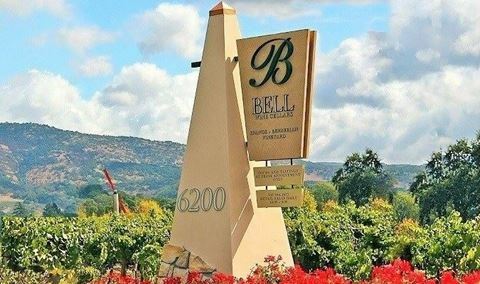 This signature tour explores the winery’s unique history, quality vineyards, high-tech winemaking facilities, modern architecture and contemporary art collection. This tour is followed by a seated tasting. Approximately 1.5 Hours. Portfolio Tasting A flight of five wines, featuring our award winning Cabernet Sauvignons. This experience lasts 45 minutes to an hour. 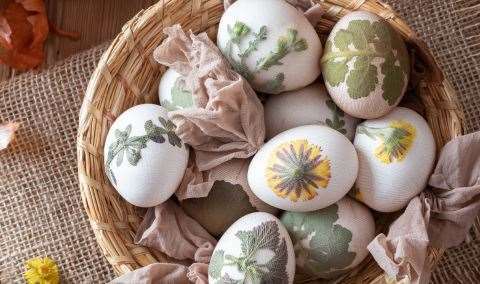 Offered daily 10am, 11:30am, 1:30pm, 3pm & 4:45pm for up to 6 guests $50 per person Approximately 1 Hour. BACA tastings are far more fun than formal. 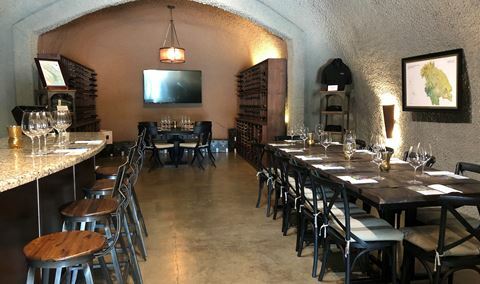 Hosted at our parent winery, HALL St. Helena, our tastings feature all current releases for a $30 tasting fee. Production is very limited and the tasting is the only way to try all the current BACA releases. Join us Fridays, Saturdays, and Sundays in HALL St. Helena. Approximately 1 Hour. 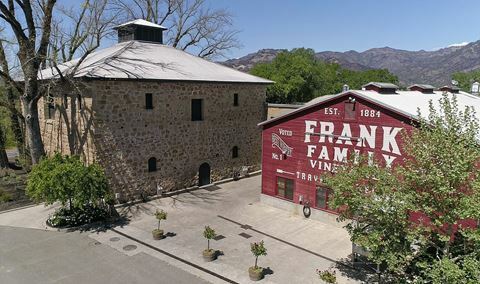 A state of the art winemaking facility & hospitality center, with an awe inspiring art collection & sculpture garden, barrel tasting, award winning wines paired with farm to table cuisine, and customized, creative experiences. Unwind, relax and explore HALL Wines. 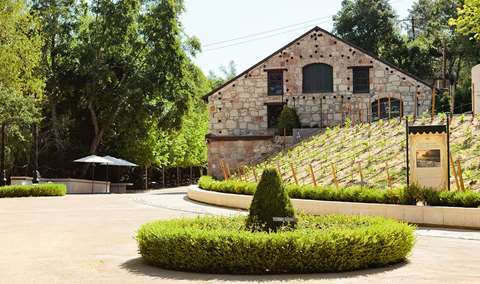 Celebrating its 11th year as a luxury, tranquil winery and tasting room within the lush Napa Valley and resting at the foot of the spectacular Mayacama mountains, HALL Wines lies just south of the quaint town of St. Helena. 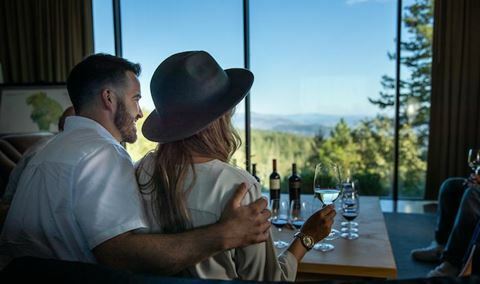 This wine destination is designed to inspire guests, spark curiosity for tourists and locals alike, demonstrate care for the environment with five certified organic estate vineyards, showcase the collection of 21st century modern art and above all, celebrate winemaking excellence. 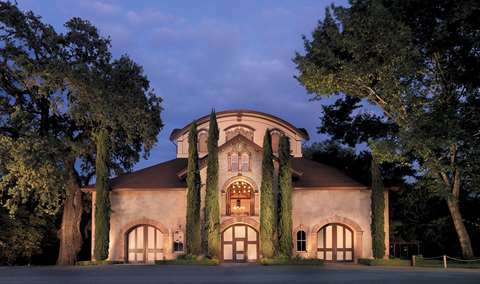 The two HALL Wineries and Tasting rooms, one on the valley floor in St. Helena, and one at the zenith of the Rutherford hills, are intended to be unrivaled destinations that enable guests to relax in the geographically vibrant setting, connect, and enjoy the surrounding terroir of Napa Valley. The 3 things wine lovers should know about HALL Wines. We have Crazy Good Cabs, over 30 of our wines are rated 90 points and above, and in 2013, our 2010 Excellenz was rated 100 points by Robert Parker. Come visit us and you'll see! 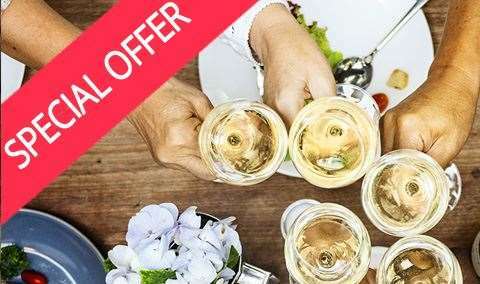 New unique HALL Wine experiences include Gallery 401 Tasting Salon, Bergfeld Tour & Tasting, Wine & Art Exploration, Wine Tasting 101, Demystifying Food & Wine and Sunset Cruise. HALL Club Members enjoy complimentary tours & tastings, as well as Military + guest. 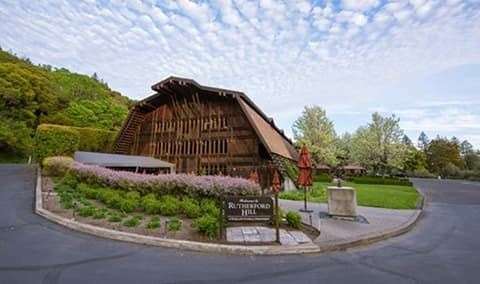 Private Tours for groups of 8 or more can be scheduled by calling (707)967-2626. Spectacular spaces are available on-site for corporate and private experiences. HALL's highly rated wines have included the 2008 "Kathryn Hall" Cabernet Sauvignon selected as Wine Spectator's 2011 #2 Wine in the World, the 2010 "Excellenz" received 100 points Robert Parker in 2013, and the 2006 "Excellenz" was selected as Wine Enthusiast's 2009 #1 Wine in the World. Always a great time visiting Hall. We love the wine and the staff. Very friendly and welcoming! Lovely experience. 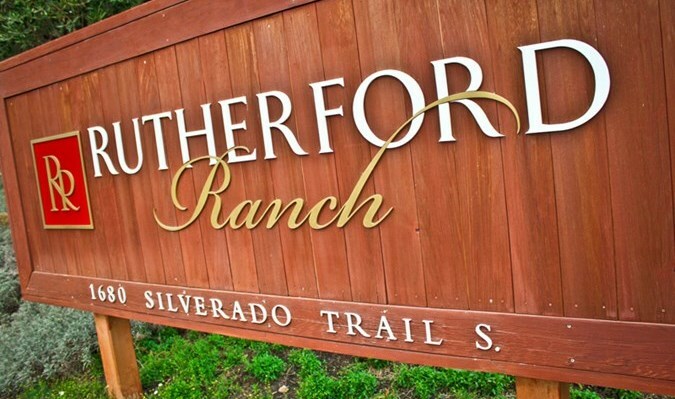 Unhurried, relaxed tasting; we walked around the property in between tastings. Our server included a couple of surprise pours which were brilliant. All the wines are very well constructed - we left after closing, we’re not rushed and took a bottle of the 2012 Kathryn Hall for dinner later @Auberge. Highly recommend tasting at Hall. Quiet Thursday afternoon. Reception desk was very welcoming, but the pourer wasn't as warm. Wines were fantastic as usual. Our tasting room experience was fantastic. Ray was great. We really enjoyed his service and personality. I live an eco-friendly lifestyle, so that was the impetus to visit this sustainable winery. When we called for a reservation, they were very friendly and accommodating. Once we arrived (30 minutes before tour), we were given complimentary wine (and refilled several times!). The winery is beautiful. Our tour guide/sommelier was wonderful! Engaging, fun and generous with the pours! Greeting at entry and accommodation at a last minute was impressive. The 2015 Hall Howell Mountain Cab Sav was fantastic. Enough so that I now have some in the collection! Highly recommend this special selection wine. Taylor was our guide on Saturday, April 9th. He was unbelievably knowledgeable and easy to talk to, along with providing handsome pours. The other members from our tour group were also easy to get along with, and my girlfriend and I couldn't of had a better time. The artwork was classic Hall Art! We loved it, and loved that it had a bit more of a modern yet humble feel. 5/5 Recommend. It’s a shame that the rude, unprofessional and patronizing service our group of 8 received at Hall did not match the superior quality of the wines and the beautiful, contemporary location. It ruined what would have been a lovely experience. We had Lauren as our guide and she was great! The whole winery/vineyard is a beautiful building with amazing art pieces everywhere you turn! We sampled wine throughout the tour and had a seated tasting. Lauren explained the story of the winery and family. She also did a great job sharing the details of the different wines. We brought home 3 bottles to enjoy at home! The tour is short and we couldn’t hear anything cause it is too loud inside the winery. It wasn’t worth spending the $50 for it. There are better tours out there which are totally worth it but unfortunately this one wasn’t. 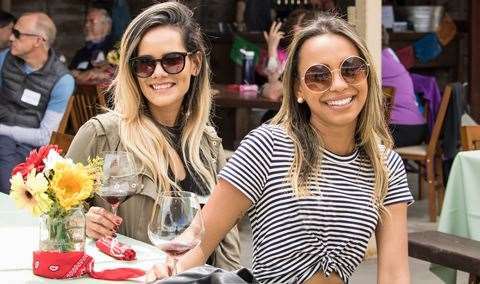 I think that the wines are good but maybe for drinking by the patio/bar and not during the tour. 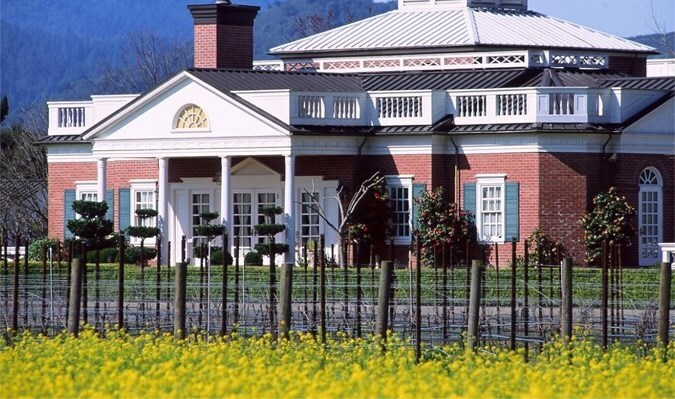 Hall Winery is the Pinnacle of Napa Valley. If you love Cabernet and Pinot Noir you will not find a better experience. We have been members for years and Hall is always our highlight of the day when we visit Napa! Jake lead our tour and was very knowledgeable and entertaining. The only negative was that we had made our reservations as GEMS members and even received an email saying our tasting was complimentary. When we arrived we were told it $50. The tour was still great but that communication mess up was disappointing. We were scheduled for a private tour and our guide, Chris, was amazing. One of the people in our party is also in the industry and Chris geared the information to not be too elementary and we all enjoyed the story and vision of the winery. The wines was full bodied and outstanding. We thoroughly enjoyed our time there. Thank you for the wonderful experience. Beautiful grounds and artworks. Good information and amazing wines. Such a fun and informative tasting. Wonderful Hospitality! Taylor was great! Amazing tour guide in Erik, he knew a tremendous amount of info on the wine and the property. We had the chance to visit on a 3 day trip to the area, and HALL was one of our favorites! The quality of their wines was amazing, and the story of the winery itself and owners is captivating. Our host was Taylor, and he was such a phenomenal! I'm already planning to revisit when I can spend some more time in their outdoor space. The cabs were wonderful and Ron Williams was delightful! We truly enjoyed our visit to Hall Vineyards. Our visit included an tour of the grounds and facility. Chris, our tour guide shared with us a wealth of information. We have just recently discovered hall wines at our favorite local wine merchant in Naples Florida. This prompted us to visit the winery… We loved our ultimate cab experience with Celeste! We both joined the club! Can’t wait to come back… The only drawback is, we are so far away in Naples Florida! Eric, who did our tour and presentation was outstanding. Had a wonderful time and experience. Our entire experience was interesting. Great tasting! We’d recommend to friends & foes! Took out of town visitors who were impressed with both the tour and the wines. Signed up for the Ultimate Cabernet Experience and the wines we all tasted were beyond my expectations. A superb selection of cabs that all of us enjoyed a lot. Our guide Chris was excellent! Delicious wines! We were with Eric and he was fantastic. It was a perfect balance of fun and educational. We had seven people in our group and this was our first wine tasting of the day. It set the standards high and we all had a fantastic time. We enjoyed the wine, but not the young man pouring the wine. He was so negative about where the kids had been previously, and where they were going. It’s so important to be positive. My daughter said we could not sign up for the wine club, since he was so unpleasant. We signed up for 4 others! The staff needs some Nordstrom style customer service training!! Everyone at Hall is so wonderful and accommodating. Our tour guide, Lauren, was amazing and made sure we all had a fabulous time! If you’re thinking out going, stop thinking and go! The atmosphere, wine, and people are all equally phenomenal. Eric was a great host. Very knowledgeable about the history of Hall and the wines. Love Hall and every time I am there! Staff is always so welcoming!